Formerly of Woodwards, we have been providing outstanding carpet cleaning services in the Lower Mainland for over 25 years. Good maintenance and proper cleaning is essential to the longevity and appearance of your carpets, area rugs and furnishings. Angelo's Carpet Cleaners has the expertise and equipment to keep your home or office interior looking as fresh, beautiful and as inviting as ever. Our staff is knowledgeable, professional, and courteous. Our Vancouver carpet cleaners have the experience and long-standing reputation which can be relied upon to provide professional cleaning services at a reasonable cost. 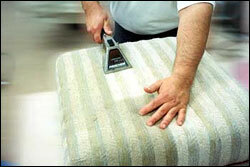 Angelo's Carpet Cleaning is an insured upholstery and carpet cleaning company with over 25 years of experience. Our company is proudly 100% Canadian, family-owned and operated. From wall-to-wall carpeting cleaning and upholstery cleaning, to Persian rug & area rug cleaning and mattress cleaning, Angelo's Carpet Cleaners specialize in leaving your interior clean and pleasant to the sight, touch and smelling great. We are experts in cleaning delicate fabrics such as silk, wool, cotton, and Oriental rugs. We also offer pet stain and odor removal along with water damage restoration for residential and commercial accounts. Our cleaning technicians are trained & certified and arrive fully-equipped to perform the cleaning at your convenience. We use state of the art equipment, as well as top of the line cleaning products. Give us a try and feel the difference. 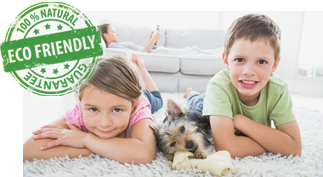 Angelo's Carpet Cleaning guarantees your complete satisfaction with our cleaning services in Greater Vancouver and the Lower Mainland. We are formerly of ‘Woodwards In-Home Cleaning’. Contact us today for a free cleaning estimate for your carpet, upholstery, area rugs and more. FREE PICK-UP AND DELIVERY OF AREA RUGS! We offer free pickup and delivery of area rugs across the Lower Mainland from West Vancouver to Aldergrove. © 2017 Copyright Angelo's: Carpet Cleaning Vancouver. All rights reserved.